In politics, there are two kinds of elections: The kind you win, and the kind the other guy stole. President Donald Trump wasn’t content at winning the Electoral College, 306-232, a victory that made him the 45th president of the United States. Instead, Trump insisted he defeated his rival Hillary Clinton in the general election popular vote, if one subtracts the 3 million to 5 million “illegal” votes the president insists were cast. The truth: Hillary Clinton won the popular vote by a margin of 65.8 million to Trump’s 62.9 million. Of course, that doesn’t matter when it comes to the presidency. Trump won the contest under the constitutional rules, fair and square. But that hasn’t stopped Trump from insisting that he really won. It’s against that backdrop that he’s appointed a Presidential Advisory Commission on Election Integrity to prevent alleged fraud in the future. This week, the commission requested from secretaries of state across the nation information including voter names, dates of birth, voting histories and, if possible, party identifications, along with any evidence of voter fraud. According to a story in The Hill newspaper, 29 states are balking at the commission’s request. Their reasons range from fears the information will be used for voter suppression to questions about the need for the commission in the first place. 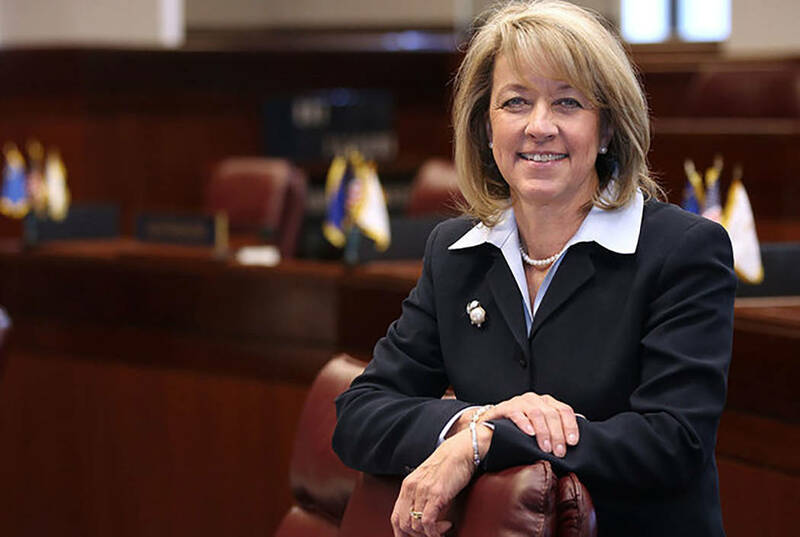 Nevada Secretary of State Barbara Cegavske said in a statement she will release names, addresses, dates of birth and whether or not a voter participated in a prior election. By the same token, she said she won’t release Social Security numbers, driver’s license numbers, DMV identification card numbers or email addresses. And that’s as it should be: In Nevada, basic voter information is public, because there’s no statute that declares it to be confidential. Anybody — from the president all the way down to a lowly newspaper columnist — can request and receive that information. Withholding it without legal authority would be entirely improper. Not only that, but releasing those records is a good thing, as they will show there is very little, if any, evidence of voter fraud in Nevada. But in March, Cegavske said she’d learned that “just over 100 people statewide” had “presented evidence of non-citizenship” and filled out voter-registration forms at the DMV. Of those, 21 had cast ballots in the 2016 election, three of whom did so in Clark County, Cegavske added. Since then, we’ve heard nothing about arrests or prosecutions, although Cegavske said the investigation is continuing. That means the 21 votes allegedly cast illegally in Nevada account for 0.000014 of 1 percent of the 1.4 million votes recorded in Nevada last year. Or, put another way, and again assuming those votes were really illegal, authorities have just 4,999,978 votes to go to substantiate Trump’s claim. But the fact is, voter fraud exists far more in the fevered imaginations of the paranoid than it does in real life. And the public information Cegavske and her colleagues should provide to the president’s commission will bear that out. COMMENTARY: Will newspapers save democracy?